the best performance of Angler. dust by making a wall of magnetic oil in the gap between the body and rotor. capability of the magshield is at a very high level. 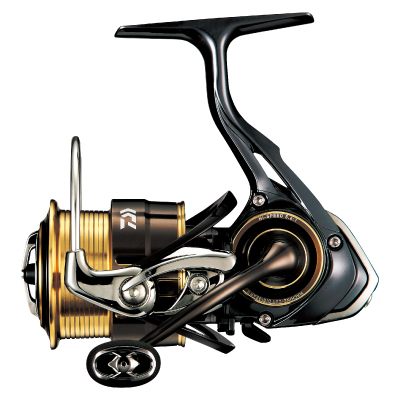 (Rotor material ※3500 4000 size only) Fiber reinforced special plastic reinforced only by Daiwa's original technology. Aluminum spool Lightweight and rigid metal spool. to the limit even during winding at high load.